lip fillers is used to enhance one’ appearance. This quite popular cosmetic procedure is used to shape, sculpt, and increase the fullness of the lips. Lip enhancement treatments are widely available and no longer just for the rich and famous. Many types of fillers and techniques are available to meet your individual needs that will give the lips a well-defined more youthful appearance. Fillers restore the fullness that is lost due to damaging elements and the natural volume loss of elastin and collagen protein as we age. Lips naturally become thinner, droop, wrinkle, loose definition, and lose their color. Smokers generally develop lines around the mouth. Ageing, vertical lines along the top lip can often times be reduced or minimized with lip enhancement treatments. Hyaluronic acid levels drop in our body as we age. This natural occurring nutrient helps plump, lubricate, and provide tissue support. Many popular injectable fillers are hyaluronic-acid based. Facial fillers are very popular because they produce immediate results and can be performed in a very short amount of time depending on the extent of correction, with no down time. Temporary and permanent solutions using different materials and techniques are available to correct imperfections or add volume or shape to your lips. Bovine-derived collagen is extracted from the tissue of cows. An allergy test is required prior to a lip treatment. Human-derived collagen is from donated human tissues. A pre-treatment allergy test is not required for a human-derived collagen filler. Since collagen is absorbed by the body rather quickly, frequent treatments are necessary to maintain the desired effect. Results generally last between one and four months. Hyaluronic acid is a clear, biodegradable substance that already exists naturally in the body. Lip plumpers made from hyaluronic acid provide longer-lasting results than collagen. A pre-treatment allergy test is not necessary. Some common types of hyaluronic acid-based filler brands used are Perlane, Juvederm, or Restylane. There are many personal reasons why a person may seek lip augmentation. It could be due to aging, naturally thin lips, or a person simply wants to enhance one’ facial appearance and help increase self–esteem. Thinning of the lips is one of the most noticeable signs of aging. Improvement to this area can also significantly help to raise and define the lip line. Fuller lips can also add better proportion and a more appealing balance to the entire face. In addition to enhancing the lips, many of these cosmetic fillers are also used in restoration of facial volume or contour purposes. Other options for lip enhancement include pricy fat transfer procedures and more permanent products such as Artefill, lip implants, surgical lip lift procedures and new saline VeraFil implants. Men or women who are considering permanent solutions are advised to try temporary injectable fillers first to make sure they like the desired cosmetic result. 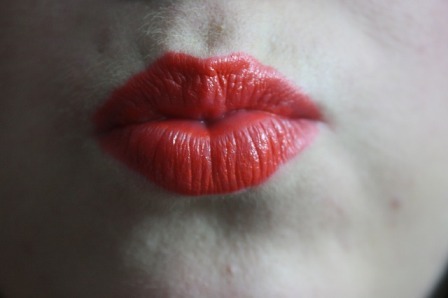 Select your medical professional carefully- Kissable lips are in, botched jobs are not!